This beautiful hotsprings are located 240 km. from Iquique, in the way to Colchane. 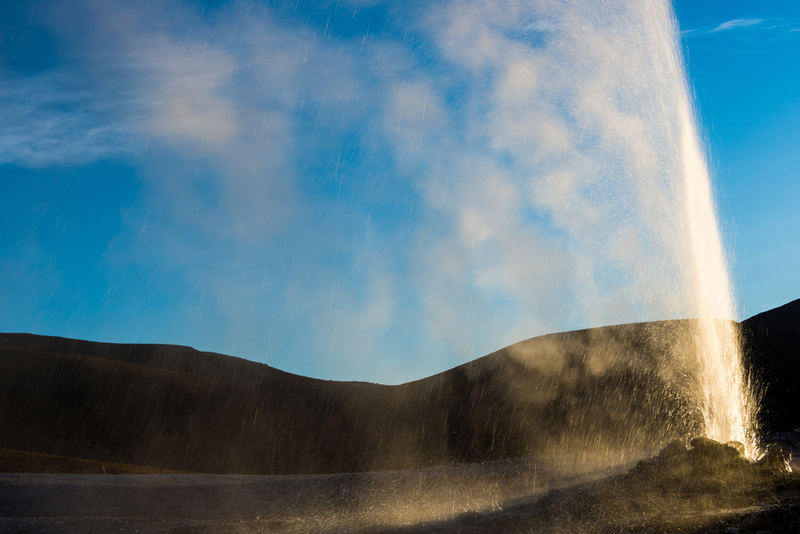 Here you will find thermal pools with a temperature of up to 85°C which are not suitable for baths, but they form a beautiful landscape along with the many steam vents in the area, and you the geysers found around them. In winter, the cold freezes the vaporized water to form ice which is molded by the wind into forms which can be between ten and fifteen meters high. In the surroundings there are individual, mud and steam baths, or you can enjoy the natural pools. Nearby are the ruins of old sulfur works.